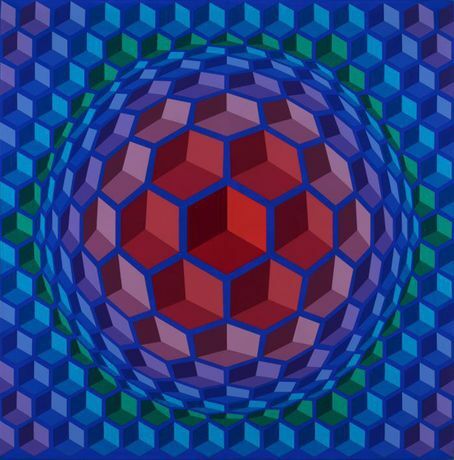 Victor Vasarely, Cheyt-Pyr, 1970–1971. Janus Pannonius Museum Vasarely Museum, Pécs, © VG Bild-Kunst, Bonn 2018. Photo: István Füzi. Sunny Implo, Louis van Gasteren and Fred Wessels, 1969. © Louis van Gasteren, Amsterdam. If you’re anything like us, the festive season is perfectly offset with discovering some thought-provoking contemporary art. To help you in your discovery, we’ve listed some of the best shows happening during the season in Europe. Read on to see what exhibitions you should be visiting this holiday. The holiday season is upon us once again, and the festive light installations and window displays seen throughout the world render cities into kitschy works of art worthy of greeting cards. We’re not knocking it; we couldn’t live without our yearly dose of mulled wine and ice skating under fairy lights. But as the year winds to a close and we consume more mince pies and cider than our bellies can take, we’re left wondering if we’ve consumed enough art and culture. Read on to see what exhibitions you should be visiting. May your holidays be the perfect mix of cosy and stimulating. 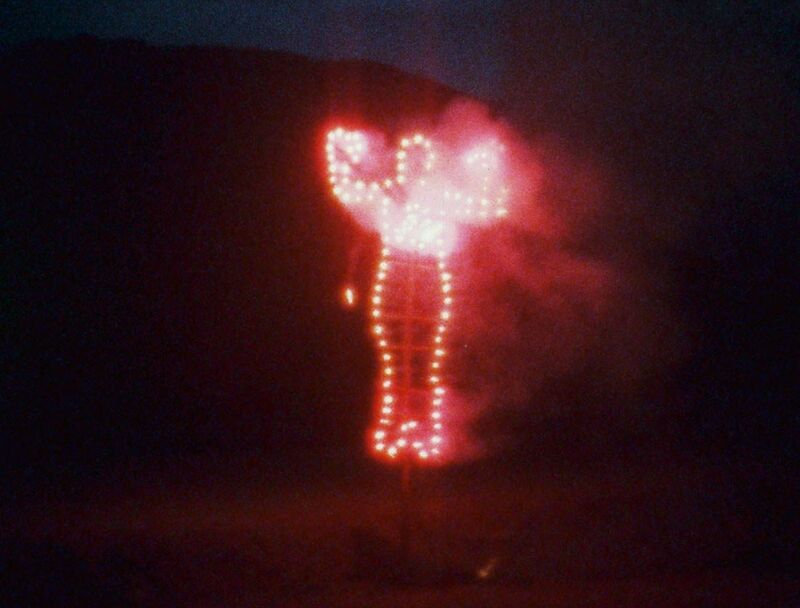 During her brief post-war career, Cuban artist Ana Mendieta managed to create an outstanding number of works including 104 films, photography, drawings, performances and more. 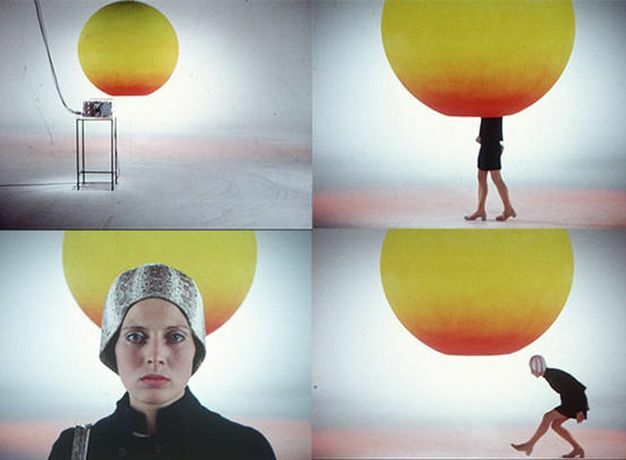 Her large retrospective show at Jeu de Paume allows audiences to discover the greatest ensemble of the artist’s work ever shown in a single location. Tuesday 11 am - 9 pm, Wednesday - Sunday 11 am - 7 pm. 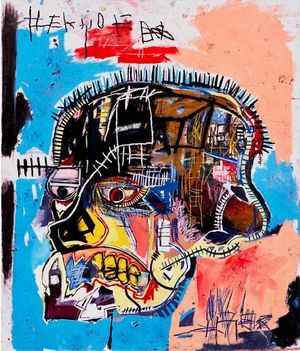 Although presented as two separate shows within one gallery, the works of Basquiat and Schiele were not chosen for the simultaneous display by accident. Coming from two different continents and two distinct ends of the twentieth century, they are tied together in fate and fortune. This winter, the city of Bregenz has much more to offer than just the dreamy winter scenery. The renowned British artist Tacita Dean presents her 16mm films of brutalist architecture juxtaposed with her uncannily realistic chalk drawings of different landscapes drawn on large blackboards. Tuesday - Sunday 10 am – 6 pm, Thursday 10 am – 8 pm. Closed on Christmas Eve, Christmas Day and New Year’s Eve. Boxing Day 10 am – 6 pm, New Year's Day 2 pm – 6 pm. The Stedelijk Museum invites the visitors to revisit the experimental 60’s as they flourished in Amsterdam when humour and irony took over the precision and realism associated with the classical art abundant in the Dutch capital. Featuring works from the museum collection, the show sheds new light on the radical innovations and artistic and social experiments of the era. Saturday - Thursday 10 am – 6 pm, Friday 10 am - 10 pm. You might have seen some of Gustav Klimt’s iconic paintings but have you ever ‘been’ inside of one? 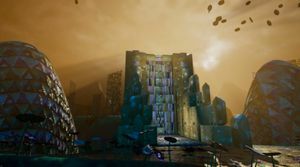 VR artist and filmmaker Frederick Baker has created a virtual paradise inspired by the series of three mosaics that the master of Austrian Art Nouveau designed for the Stoclet Palace in Brussels. Mario Merz is widely recognised as a leading figure in Arte Povera and one of the first artists in Italy to have worked in the medium of installation. Introduced for the first time in the late 60s, the igloo has become one of the most recurrent motifs in his work. 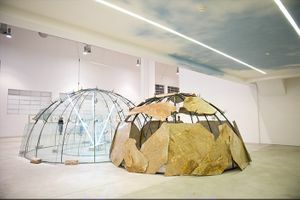 Displayed together for the first time since the artist’s death, the igloos explore the themes of the relationship between inside and outside, between conceptual and physical place, between individual and collective space. Thursday - Sunday 10 am - 10 pm. Since the 1990s Polly Apfelbaum has used the floor as a surface on which to present her Fallen Paintings. She experiments with ceramic, textiles, paper and handwoven carpets. The latter takes over the upper floor of the Belvedere 21 and transforms the space into a literal participatory artistic playground. SONG 1 is a 35-minute-long sound and video installation created by Doug Aitken in collaboration with various artists and musicians. 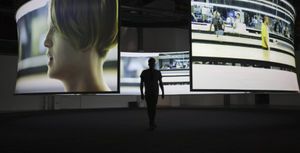 The film features creatives such as Beck, Lucky Dragons, No Age and Tilda Swinton, functioning as an immersive artwork that invites the viewers to walk around it as much as stepping into it. Moscow: The Fabric of Felicity at The Museum of Contemporary Art "Garage"
The large group show at The Garage oscillates around the subject of clothing in art considered outside the context of the fashion industry. The geography of the exhibition is based on the “silk routes” of the 21st century - global routes and production cycles of raw materials, fabrics and ready-made clothes. 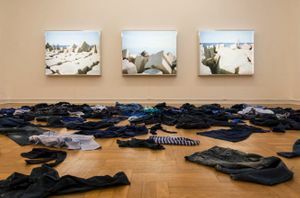 Including works of Russian as well as international artists, the exhibition attempts to strip the concept of clothing from its association with fashion and style. 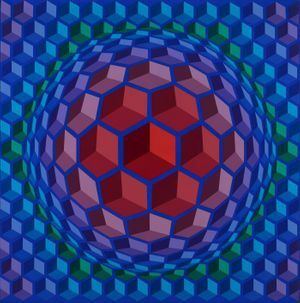 In collaboration with Centre Pompidou, Städel Museum has gathered over one hundred and twenty works by Vasarely presenting the almost complete retrospective show of the master of op-art. The artist who started his career as an advertising graphic designer quickly became a key figure of French post-war art and one of the first European pop artists. The show introduces a new history of the project of modernity that runs through the entire twentieth century. Tuesday - Sunday 10 am - 6 pm, Thursday - Friday 10 am - 9 pm. Sandy Di Yu is a London-based writer, art theorist and artist. Follow her on Instagram and Twitter, or visit her website. 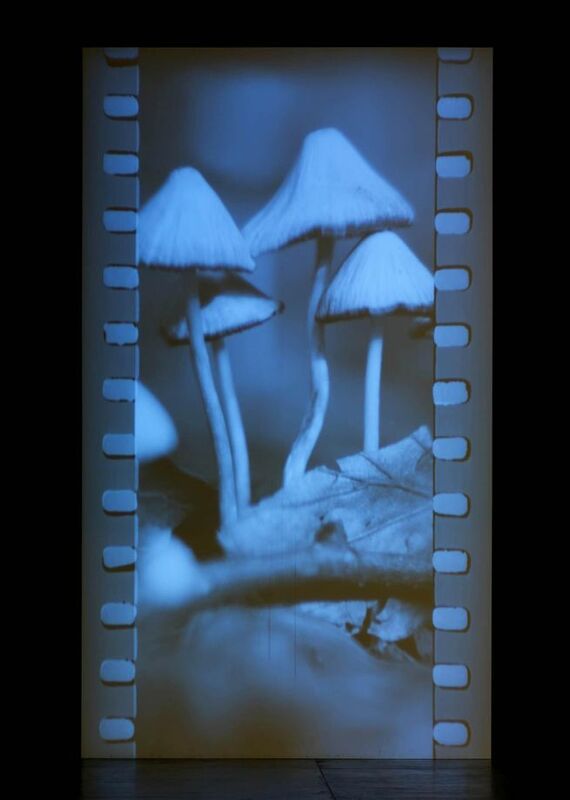 Nina Cieminska is a London-based art theorist and researcher. Follow her on Instagram or Twitter.